The New York Giants have a quarterback dilemma, and all Davis Webb-haters tend to refer back to the days of Ryan Nassib. Let’s get this out of the way… that’s ridiculous. You can’t compare any player in the NFL, since later-round picks often emerge as starters at all different positions. Nassib didn’t have the work ethic Webb currently has, and his chances at starting a game in the NFL were next to none. How do I know that? Eli Manning was in his prime, so Nassib wasn’t going to be playing any games as a Giant; he was a backup QB for life. Webb has the chance to be Manning’s successor, which explains his ‘want’ to prove himself to the organization. The Giants battled through a 3-13 season and even went as far as to bench Manning and end his infamous streak. Manning nearly cried due to the emotion of not starting a game after 14-season of doing so. Damn you Ben McAdoo! 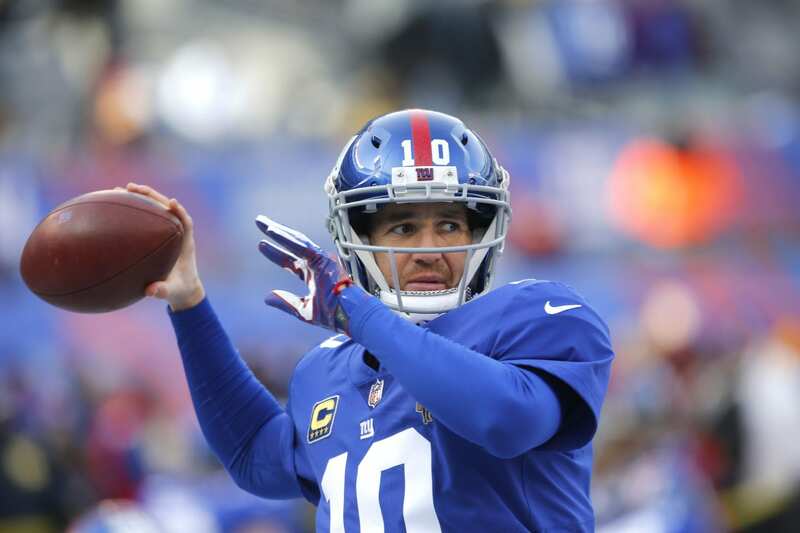 Moving forward, the Giants are staying with Manning as their starting quarterback in 2018. At 37-years old, his time is quickly coming to an end, but he has our support until his final day! When comparing himself (Webb) to Manning, he was very open with how different both of their personalities really are, and why their receivers gel with both of them equally. Webb is spending the offseason working diligently to impress the new regime for the Giants, and he may just earn his opportunity to showcase his skills. Well, we can surely say Webb is giving his opportunity everything he’s got, and if he wins the starting job, it will be based on his work ethic alone.